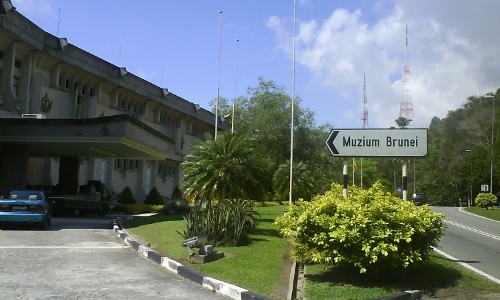 Rubenerd: Fitting all of Brunei into a museum! Fitting all of Brunei into a museum! The Brunei Museum in Bandar Seri Begawan is either contained in an incredibly vast building, or Brunei is even smaller than I thought it was! HA! I grew up in Singapore and lived in Malaysia but have never been to Brunei despite it being next door, so to speak. Because of a currency arrangement you can spend Singapore Dollars in Brunei and vica versa, and because I'm a typographic nerd I noticed the fonts used on road signs there are the same as in Singapore too. I'm a wild person! Newer post ← Could the OpenOfficeMouse be chorded? Older post → Android’s built in excuse?